The CIA has learned that the Kremlin is about to launch a sophisticated propaganda operation aimed at discrediting and disrupting the United States and ultimately restoring Russia to great nation status. Intercepted intelligence suggests that the operation will hinge on a single, breaking news event in Eastern Europe, supported by a sustained campaign of disinformation and cyberattacks. Code-named the "Children's Game"--a chess stratagem that leads to checkmate in four moves--it was probably conceived by a Russian billionaire and former FSB officer named Andrei Turov. For years Turov has been developing the infrastructure for a new kind of warfare that exploits weaknesses in western democracies and manipulates public opinion. His organization offers the Kremlin plausible deniability. 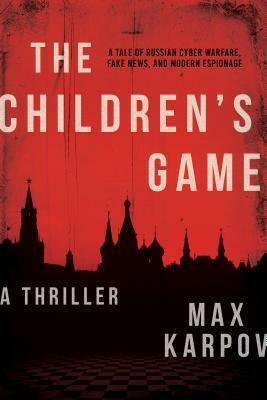 THE CHILDREN'S GAME is a frighteningly realistic, timely thriller that delves into the secret corners of Vladimir Putin's Russia, exploring the shifting world order and the murky realm of US-Russia relations.